Green Select Glass Cleaner is formulated to be non toxic, phosphate free, biodegradable, and non flammable, and contains no dye, fragrance, or hazardous ingredients. Green Select Glass Cleaner will clean windows, TV Screens, porcelain, plastic, counter tops, restroom fixtures, and stainless steel. Works well as an all purpose spray and wipe for any surface not harmed by water. 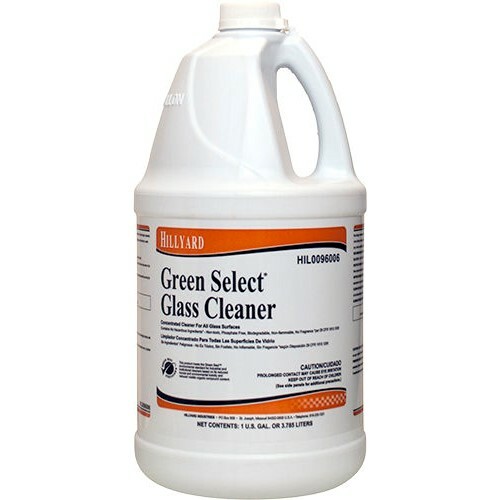 Green Select Glass Cleaner uses a unique combination of environmentally preferred surfactants instead of using harmful solvents, which most conventional glass cleaners have. Dilution rate 6 oz per gallon.